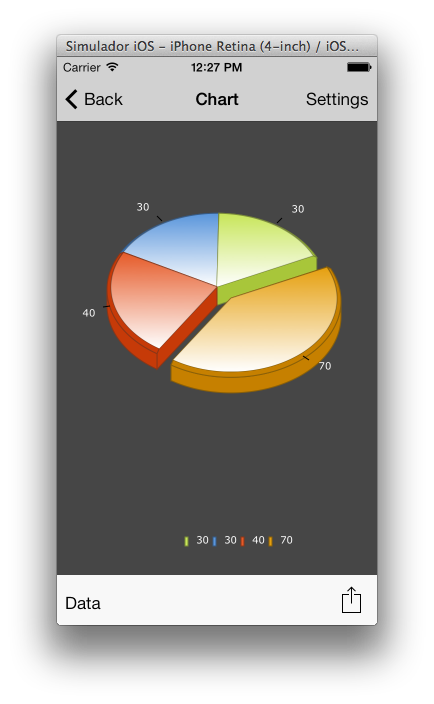 TeeChart Builder Mobile is a simple and powerful tool built with TeeChart .NET for Xamarin.iOS which allows you to create 2D and 3D interactive charts and graphs from given data. 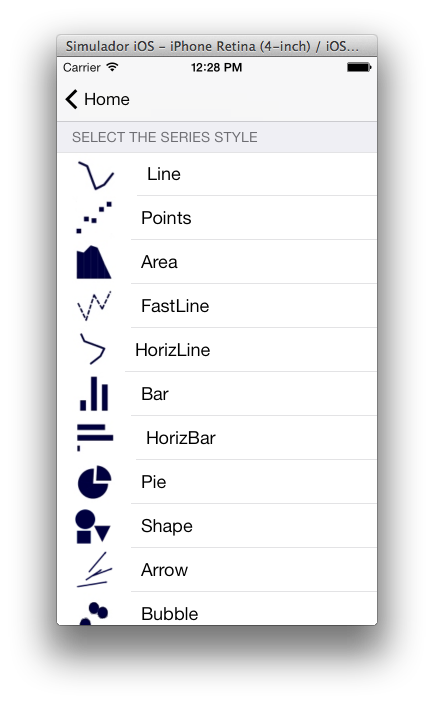 You can customize the appearance and theme, color palette and lots more characteristics.This application also allows you to export the Chart generated to image, send it by e-mail or print it. To learn more please visit iTunes Apple Store.